Disruptive technologies, such as new sensors, artificial intelligence, machine learning and cognitive computing, are creating the foundation for next-generation analytics driven by a conversion between the physical and digital worlds. This seismic shift in process and culture is transforming traditional business process across industries. More importantly, it is turning linear supply chains into connected, intelligent, scalable, customizable, and nimble digital supply networks. At its core, digital transformation is about reshaping business models and operating processes through the application of modern digital technology. This involves a radical rethinking of how we use technology in pursuit of new revenue streams or new business paradigms, while requiring cross-departmental collaboration in pairing business-focused philosophies with rapid application development models. 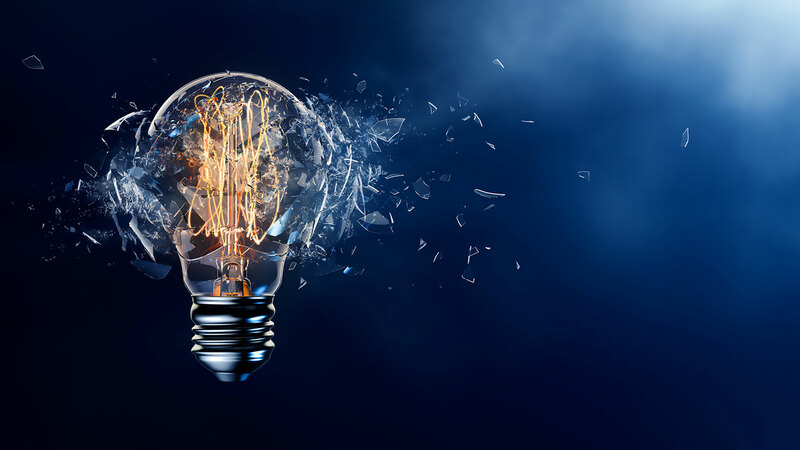 The “disruptive” part of digital transformation is that it drives organizations to continually challenge the status quo, which sometimes means walking away from long-standing business processes that companies were built upon in favor of relatively new practices – of which some are still being defined. For a supply chain organization, this means you need to embrace technical advancements, so that the resulting digital transformation profoundly changes how your enterprise software is developed, delivered, and consumed. In the midst of today’s technological revolution, it’s incumbent upon supply chain leaders to embrace change, and help drive organizations to rethink and reshape how they conduct business in order to compete and grow in today’s modern business environment. What’s becoming clear is that while all businesses exist to serve end consumers, the parties that make this possible are not working together on that common goal. Our Real Time Value Network (RTVN) addresses this need by creating true consumer-driven communities that connects companies and their entire ecosystem to a common cloud-based platform or network, so they can collaborate in real time. Cost is another added benefit as companies no longer want to buy and pay to maintain software anymore; they want to pay for outcomes. This is where cloud-based networks can offer a whole new approach. Digital networks are shifting the focus from buying products to buying outcomes by supporting a business model that allows every member to focus on delivering value to the customer, which frees the provider to focus on delivering the desired outcomes. Delivered as a service, networks insulate companies from traditional software headaches, such as the need to keep up with upgrades. Tailored business solutions are configured by bringing together, and extending, many different mini applications and services on a single network platform. This is similar to consumers who have tailored personalized solutions to meet their unique needs by assembling an appropriate set of apps on their smartphones and devices. Cloud network platforms, as a part of a digital transformation, can be deployed in months rather than years so value can be realized sooner. More importantly, the platform is modular unlike aging monolithic ERP systems, allowing for short step-by-step projects. In our own deployments, we take an iterative approach in an agile development methodology so that deployments are rapid, self-funding, and low risk. For many companies, the first step in their transformation journey is onboarding to a digital network and deploying an overlay Control Tower solution. Once supply chain partners are connected to the network, each party can easily publish schedules, capacity, status updates, etc., and all parties can subscribe to receive the necessary information rather than build one-to-one interfaces with every partner. The automotive industry is also in the midst of massive changes, said Brady in Automotive Logistics Magazine. Disruptive advancements like ride-sharing transportation services, advancements in mechanical innovation and software-driven autonomous vehicles, and shifts in fossil fuels and hybrid power are helping to fuel some amazing transformations. Our Real Time Value Network is providing automotive companies with the ability to collaborate, plan and execute with trading partners by pulling together entire communities of new partners at a speed that current business processes and enterprise systems simply can’t support. One Network’s RTVN enables our POS data to be fed into a demand forecasting engine in real time, and that demand engine adjusts the forecast as sales are occurring, with built-in smart agent technology that allows the forecast to be adjusted daily. That feeds our distributors and our suppliers, so they see this in real time, which has basically eliminated the bullwhip effect. This dynamic, pinpoint accuracy of forecasting and inventory levels is made possible, because it is based on actual consumption. Visionary companies are rapidly adopting digital cloud networks to drive breakthrough results and power their own digital transformations. The choice is clear; if you want to win customers and increase both profits and efficiencies, you need to change direction, abandon traditional thinking, and disrupt! …or run the risk of being left behind. MaryAnn Holder is Chief Marketing Officer at One Network Enterprises, the provider of the multi-partycloud platform, the Real Time Value Network™.